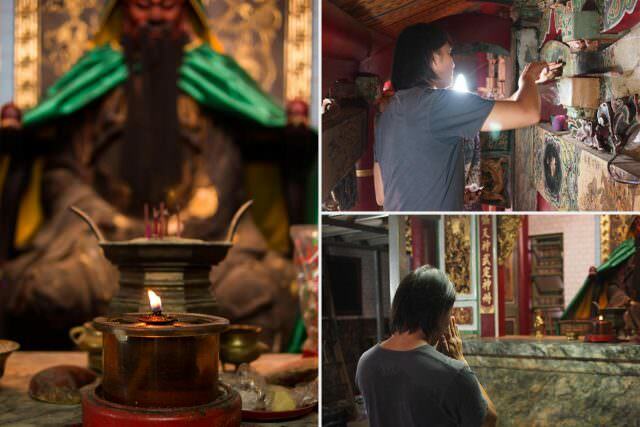 For the 7th Anniversary Exclusive Interview Project, we visited Alto’s old friend Tai Shun-Ren, the founder of TSJ Art Restoration (TSJ), and invited him to share with us about his work in art restoration. 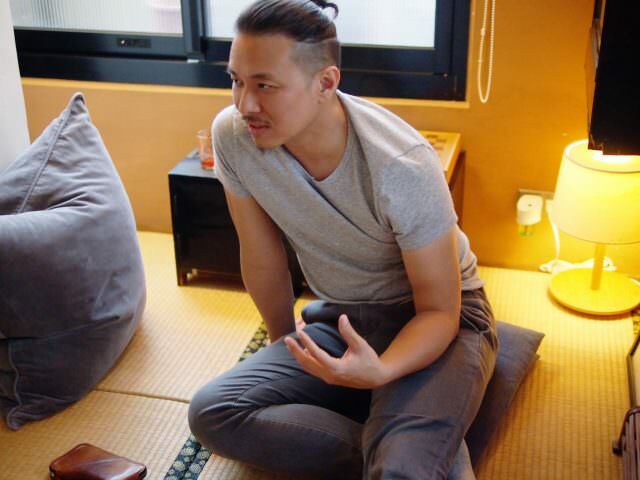 The last time Alto interviewed Tsai Shun-Ren was three years ago, when he became known to the public because of a restoration incident that had occurred during the “The Face of Leonardo, Images of a Genius” exhibition. 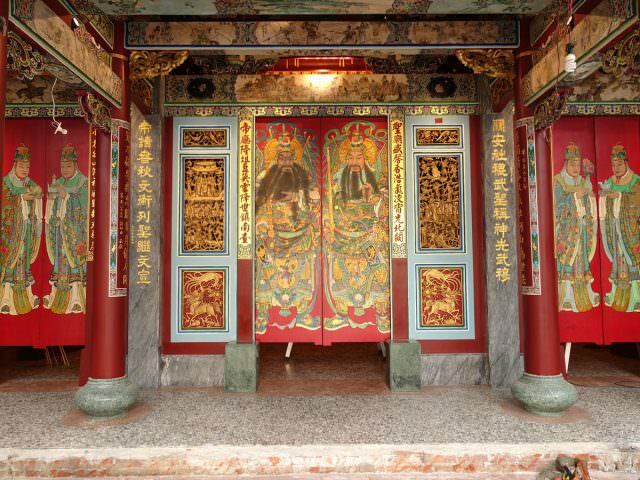 Before that, however, he had already made an international name for the religious art of Taiwan and for his Taiwanese team of art restorers because he and his team restored the door god paintings of temple painting master Pan Li-Shui, and also because of his participation in the International Architectural Paint Research (APR) Conference in Sweden. Tsai Shun-Ren, who had done restoration works in Italy, the United States, and the Netherlands, told us that “an art restorer needs a great deal of practice, patience, perseverance, and endurance. It’s a job that requires a lot of effort in all respects. 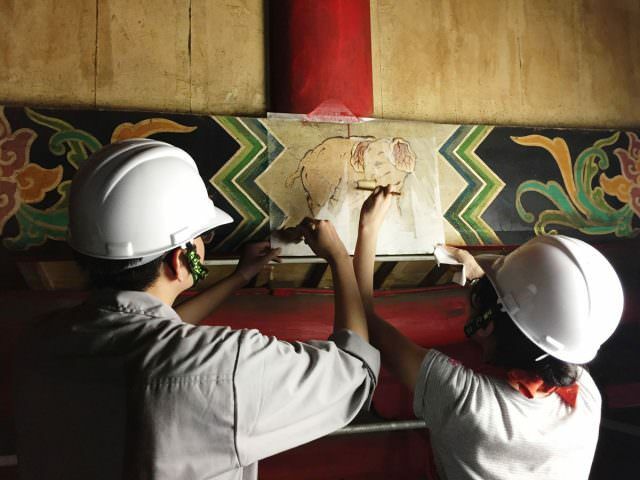 Not only do you need serious artistic training, you also have to overcome obstacles in all kinds of environments.” For example, when restoring a temple, it is impossible to move the artwork into a room with stable temperature and humidity. 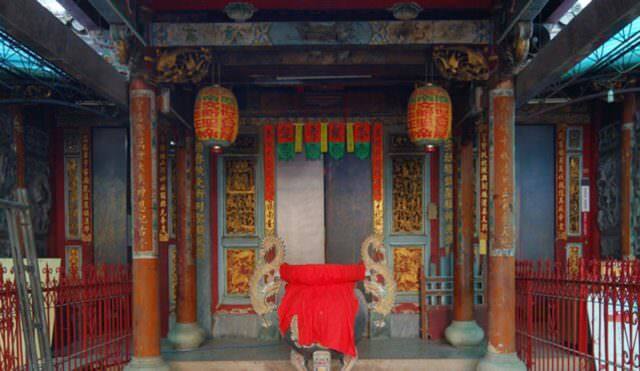 Art restoration work is especially difficult with the high temperature and humidity in Taiwan. But, no matter what kind of environment they are working in, Tsai Shun-Ren expects the TSJ team to show the same standard of high quality. In addition to high standards for their employees’ professional expertise, TSJ approaches all aspects of their restoration projects with a high degree of integrity. To ensure the safety of the restoration personnel and achieve the highest quality of restoration, the team often makes use of a scaffolding system generally used only for building ships, aircrafts or other major national projects to restore Taiwan’s temples and monuments. To build such a large working platform, TSJ carefully works with the country’s top designers and planners from installation of details to load allocation, devoting time and efforts to install the work platform which is almost a work of art itself, in order to reach heights beyond stable reach of other platforms, and irregular spaces formed by the highly complex and intricately carved pillars. This way, they are able to carry out their restoration work in the best way possible. 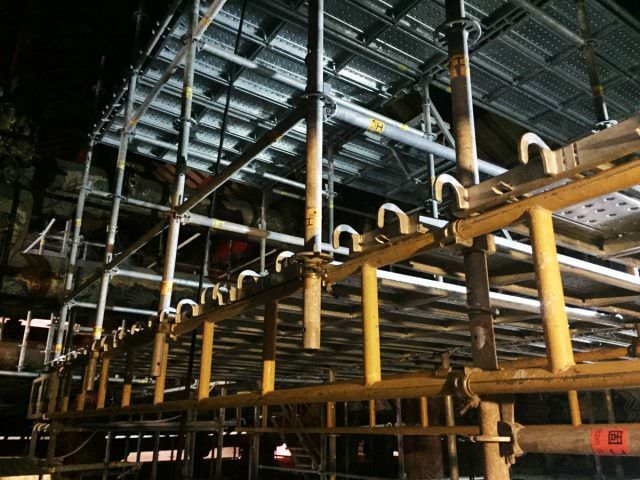 Although the scaffolding is costly, Tsai Shun-Ren and his team feel it is absolutely worth it as it allows them to do a good job. A set of brown Alto products has accompanied Tsai Shun-Ren in his worldwide travels in Italy, France, Switzerland, Japan, and other countries. After many years of use they had developed a beautiful dark brown. He joked that he is a loyal customer, since he keeps using products of the same brand so long as he likes the related products, which is why he chose Alto for his cell phone cases, wallets, and passport holders. 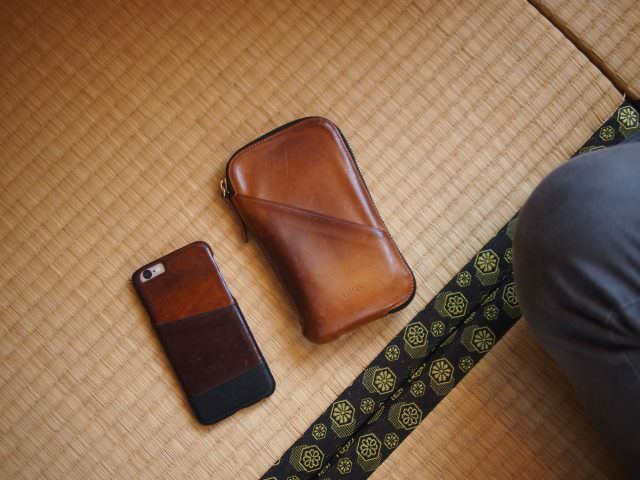 He especially likes the Metro series of Alto leather cell phone cases with their convenient card storage design. When he opened his travel phone wallet, we saw a variety of talismans collected during his visits to all kinds of temples for restoration work, in addition to banknotes from different countries, which gives the travel phone wallet the unique personality of an art restorer. Through our 7th Anniversary Exclusive Interview Project, we have been able to feel the primary passions shared by entrepreneurs in three different industries. There have always been challenges in the pursuit of their dreams, but step by step they have each been able to overcome these challenges and pursue their values with passion in the hopes that by working hard they will be able to make the world a better place. Alto is very happy to have known these awesome people while we grow as a business, as we can learn from each other and pursue excellence! We appreciate all our friends who have been supporting Alto since the beginning. With you by our side, we will keep moving forward into a brand new 8th year. Let’s keep working to change for better!